Last night's meeting sponsored by the Allegheny County Sewer Authority, Alcosan, at the IBEW Hall was interesting and informative. Why be informed about the 2 billion dollar plus plans being formulated now by Alcosan to deal with the consent decree that must be met by our region? Well, we as taxpayers will be paying for it, we as a species can be part of the solution, and well, it is interesting to me to understand how our project at 1317 East Carson relates to it all. We are in the process of getting bids for the short term plan. That involves putting in an American with Disabilities (ADA) bathroom. As we have been thinking about bathrooms, we've also been pondering the idea of composting toilets in the future as part of what we are striving towards as individual commercial building owners and as citizens of the earth. Here's a few references to learn more about the topic: The Humanure Handbook by Joe Jenkins and Anna Edey's Solviva http://www.solviva.com/, perhaps the woman who inspired Joe? Let's educate ourselves about what the full range of what green infrasturcture can mean. Upcoming meetings to learn more about Alcosan's plan being formulated are 11/14/11 10:00 to Noon at the Undercliff Fire Hall on 700 Mount Royal Road in Pittsburgh, PA 15223, 11/14/11 from 5:30 to 7:30 PM at Gateway Hall, Monroeville Fire Dept. # 4, 4370 Northern Pike, Monroeville, PA 15146 and the final public meeting will be an all day event on Tuesday, November 15, 2011 at the Senator John Heinz History Center, 1212 Smallman Street, Pittsburgh, PA 15222. This final region wide meeting will be all day, from 10:00 AM to 4:00 PM. Green infrastructure is the interconnected network of open spaces and natural areas, such as greenways, wetlands, parks, forest preserves and native plant vegetation, that naturally manages stormwater, reduces flooding risk and improves water quality. Green infrastructure usually costs less to install and maintain when compared to traditional forms of infrastructure. Green infrastructure projects also foster community cohesiveness by engaging all residents in the planning, planting and maintenance of the sites. 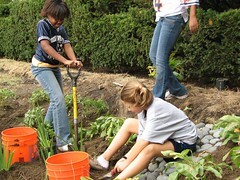 Rain gardens recharge groundwater sources, meaning that fewer pipes need to be installed to move water around the region. They help protect communities from flooding and drainage overflow and provide valuable wildlife habitat. Additional benefit: costs less to maintain than traditional forms of landscaping. A rain garden is a man-made depression in the ground that is used as a landscape tool to improve water quality and reduce flooding. The rain garden forms a “bioretention area” by collecting water runoff and storing it, permitting it be filtered and slowly absorbed by the soil. In addition to capturing and slowing water and improving water quality, wetlands provide valuable wildlife habitat and recreational opportunities (hunting, fishing, bird watching). Wetlands are areas where water covers the soil, or is present either at or near the surface of the soil all year or for varying periods of time during the year, including during the growing season. Tree windbreaks reduce residential heating and cooling costs by 10-50 percent. Trees reduce air pollution and there is increasing evidence that they play a role in reducing crime. Unlike sewers and built infrastructure, trees appreciate in value and require less maintenance as they age. eliminates the need for detention basins. Native landscaping attracts a variety of birds, butterflies and other animals, supporting biodiversity. Once established, native plants do not need fertilizers, herbicides, pesticides or watering, thus benefiting the environment and reducing maintenance costs. Streambanks along trails & greenways provide more surface area for natural absorption to lessen necessary sewer capacity. Trees slow down and clean water before it enters a stream or sewer. Additional benefits: increased tourism and opportunities for physical activity; increased property values. Greenways are privately or publicly owned corridors of open space which often follow natural land or water features and which are primarily managed to protect and enhance natural resources. We at CNT are saddened to learn of the passing of 2004 Nobel Peace Prize Laureate Wangari Maathai, founder of the Green Belt Movement. Wangari Maathai Memory Lives on at Al Raby School in Chicago. CNT was honored to have Ms. Maathai join us at the dedication of one of our first green infrastructure projects, located at the Al Raby School for Community and Environment and named in her honor.